"The best content manager for Bloggers"
As a full-time writer and blogger, I use WordPress every day. The reason I love it so much is because it is very easy to use and navigate. If there is something you want to do, you can easily figure it out yourself or a quick search will show you and that is super easy. It also doesn't limit you like most other programs either. Honestly, there really isn't anything that I have come across that causes me to not like it. I haven't ran into any issues and there hasn't been anything I couldn't do that I wanted to do. This would be a great took for any writer or blogger. I know it may be tempting to use free programs or programs that have templates and layouts for you already. I strongly suggest this investment because it will make using it daily much easier for you, it will help your brand stand out and be consistent, and honestly, you will look like a professional and not an amateur. The benefits are really being able to customize your work easily which helps maintain your brand identity. "Best website builder by far"
I like how easy it was for me to setup my website, design it and customize all of its features. I was able to use third-party apps integration through plugins that allowed me to get best of the both worlds; what Wordpress VIP offers and other features I needed from third-party platforms. And the outsourced support team is a huge PLUS. It has a variety of themes that will meet all of your needs and tastes also the dashboard where all of your editing and drafting takes place is a very comfortable space that motivates you to create and write new articles. It has a lot of built-in features that I use all the time like SEO, adding video or image as background, tags, rendering media files into your posts and much more that even most of the time I don't need the third-party features. If you're using it to build your website then the the VIP team audits every single line of code so this takes a long reviews time esp. when you don't have much time on your hands so in that case customization of an already existing theme is your optimal option. "Very competent its pros highly outweights its cons"
Wordpress is my to go when creating a new website. It is very easy to setup especially with the script installers, you get a website up in just a few clicks. It has a lot of feature to cover all of your needs and even if you didn't find it enough you can use plugins to add the feature you want. It gives you maximum design freedom . It lets you customize almost all of its features, you can select from a large pool of various themes to design your website and you can also install skins from third parties. Most importantly it has both online platform and a mobile application so that you can manage you website anytime. They don't have good support so it's like you're on your own out there. You need to have some coding ans technical skills to be able to work with it as otherwise you may cause some non-fixable damages to your website, you may lose data or or end up with an unstable website. It doesn't have a built-in security tools you you'll need to use third-party software to protect your website. If you'e looking for a quick tool to develop and design your website then this is the one for you, I totally recommend it. But you may just give yourself sometime to get to know the basics so that you'll be able to work you way with it and get the outcome you're seeking. As a web developer I use wordpress in almost all of my projects, it's easy, quick and grants clients satisfaction every time. It saves a lot of time as its counterparts take much longer in the developing and designing phases. "Great Beginning Tool for Simple Web Needs"
I was a member of a community foundation that had a very small budget allocated for marketing and design. Wordpress VIP was a great way for us to build up our online presence with a relatively small overhead. We had a basic platform prior to switching to the VIP and found the online support made it worth an additional fee. We also enjoyed the content that was made available through upgrading. Many of our frustrations came from a general lack of knowledge in terms of website building, although they offered up follow-up support and reviewed our material for edits, it would have been helpful to have a better starting-off point and initial platform to get building. I was overwhelmed by the tools at my disposal and could have used more guidance. I believe recommended refresh times to keep content fresh would also be a nice touch. If you have asome intermediate web designers on staff or others with some sort of coding background, this is a great tool to entrust them with. If your budget allows for an outside firm to create a beautiful website, it would save on the hassle and a lot of headache. Wordpress VIP has helped us maintain a low budget for marketing, while allowing us to still have big impact for our website platform and presence. It also allowed us to bring more traffic to our social media pages through links set up by the support team. "Build the site of your dreams in a couple of hours"
That i don't need to have any experience in web development field to be able to build my website, also there is a huge number of themes and plug-ins that allows you to build whatever you want and thanks to the great support that wordpress vip team provide. They should allow more users to use this service and lower the price so that more people can enjoy this great service. Wordpress Vip provides great support and quality service for those who want to build their site and don't have time to build it on their own. I used it to build a blended learning platform that is like udemy, coursera and edx.It is nearly perfect with a great and simple admin panel that allows me to easily upload courses, make quizzes and sell them. "If you don't have time to manage your Wordpress site then Wordpress VIP for you." It is super easy to use and the support is great so whenever you stuck, they are there for you.They are constantly fixing bugs and making security patches. You have the flexibility to add your own plug-ins and themes also its very easy to build plugins. There is nothing i don't dislike about it but the price is very expensive and if they can get it a bit lower, it will be much better. I used Wordpress VIP for a big private project who i needed to get it up working in a very short period of time and they didn't fail me, the site was up on time with the design and features and i requested exactly. "Easy UI, pleasant, intuitive experience"
WordPress VIP (and WordPress for that matter) is easy to use and intuitive. I did not have any prior knowledge on coding, website design or WordPress UI but the way the interface is designed makes it easy for people like me. I like it and have recommended several of my folks to use it as well. Sometimes I cannot post my content... It just keeps saying unable to save post, unable to publish post so I have to constantly refresh and this means losing my settings everytime I have to do it this. This happens about twice monthly. Contacted support only to know that nothing can be done about it. YouTube tutorials if it's not intuitive enough. In a nutshell, I get better control over the shite of services that I provide my clients. The control over cloud and other services helps me better manage my services and customer projects. At times there's some bugs with the login process and it prompts a password change overtime even though the password I am using is correct. May be my own user error, but I swear it seems like the system doesn't register the old password. Wordpress allows for great customization, but also has great tools for beginners. Whether you're just starting out or versed in html for customization it works great. Wordpress Vip allowed our knowledge base creation and current upkeep. Has been a chore to move everything over, but well worth it for customers and knowledge base content creators/editors alike. That its open source and it has a ton of available API's. It really allows you to make high quality web pages. 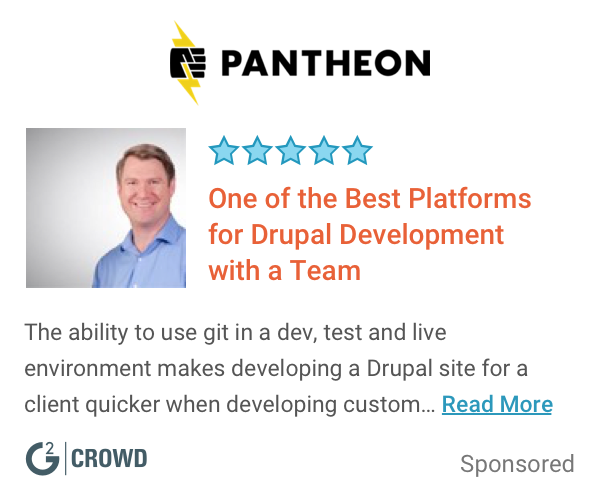 There's not much that I don't dislike but for some being open source can have its challenges when using just one platform can be easier and less hoops to Jump through . If your looking for quality and the newest trends along with expert support and code reviews then wordpress VIP is your go to for web and cloud hosting services. Like I mentioned earlier all of the robust API's but what really makes it nice especially being the middle man their customer support it top notch. 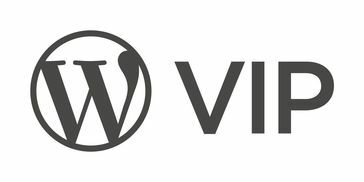 "WordPress VIP Necessary for Next Wave Writers"
WordPress VIP offers much more support and security than your basic WordPress account. Some of the features can be a little confusing. However, WordPress is fairly easy to navigate for help with questions. Be sure you put into WordPress VIP what you would like to get out of it. Many of the marketing tools available are immensely helpful, but you still need to foot your own work. I'm not necessarily solving any issues of my own, but I do feel more secure with my work being on WordPress. Especially knowing its monitored by a team of professionals. "Great experience with WordPress VIP"
Accessibility is one of my major concern. Many of the components of WordPress VIP do not meet WCAG 2.0 AAA standards. Even though AAA is not mandatory it would be great if a premium service like that could be one of the early movers. Accessibility to WCAG 2.0 AAA should be your next step. "Easy to use and deep flexibility"
I love that they have a huge library of templates you can use to build your site from. It helps you create something unique still when you have a solid foundation to start with. The analytics also work great for tracking things like clicks over time and demographics. At first, some things here and there may seem a bit non-intuitive, but once you get the hang of it all even those become no problem. So if your not at all tech savvy it may be a bit daunting at first. It helped me track how successful certain posts are compared to others. "Secure & Easy to Use"
It is expensive for larger/bigger businesses. Consider the different levels of pricing. Since I own a small business, value of that web property to my business is small so costs are low. Wordpress VIP is ultimately the best system you could ask for - it is easy to use and gets all the jobs done that you need. I've loved being able to have access to so many features for all of our web and software needs. Honestly, I'd say the only thing is at times the layout. I think if you're really looking for something that will do it all and make it really easy on all members of your teams then this is definitely a product you should consider. It is what we use to manage our website. Wordpress VIP have great features such as email marketing and branding tools. That the monthly fees are somewhat high for just a few additional features. They should make it a one time payment to keep the tools. I am helping people make websites for their business with a creative vision. It makes everyone's online experience easier online. "Very efficient for Web services." the efficiency , good security and features. If i have to say i dislike something it would be that its a little pricey. It is very efficient and good for new start ups to get your business up and working with a web service provider. web service management, design and organization. "Great product for any small business owner. " The ease of use with this program. It runs smoothly and is easy to train new employees on how to use. Nothing, this product serves my company and helps me to achieve all of my goals. Ease of use, adaptability and quick processing of information entered. Easy to use and simple layouts that can fit most needs. Somethings are not able to be changed. Settings seem to be limited. The cloud sharing abilities is helpful for working remotely. Wordpress VIP is an excellent software and very reliable. Love working with one developer and Wordpress VIP is extremely efficient and an excellent, streamlined solution to digital publishing. I don’t really have any dislikes at all for Wordpress VIP, it has been a lifesaver! Business benefits from using this product are extensive from streamlining the ease of creating and maintaining work, to obtaining great advice and expert code review. Excellent! I can make quick changes to my website from my phone. The interface is one bland color, making everything blend together and difficult in identifying where things and (and their functions) when first learning to use it. Easy access to my website. Helps ensure that a website is meeting its goals and updates very quickly! Updates can sometimes cause delays and "cracks" in the system. Helps optimize content with SEO terms. "Use Wordpress for my Blog"
A bit slow to update sometime. But it's a good, overall product. * We monitor all Wordpress VIP reviews to prevent fraudulent reviews and keep review quality high. We do not post reviews by company employees or direct competitors. Validated reviews require the user to submit a screenshot of the product containing their user ID, in order to verify a user is an actual user of the product. Hi there! Are you looking to implement a solution like Wordpress VIP?